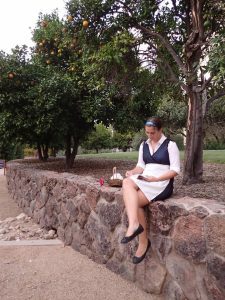 I am a graduate student at the University of Arizona’s Steward Observatory. I earned my B.S. in Astronomy and Physics from the University of Illinois Urbana-Champaign in 2015. I study gravitationally lensed dusty star-forming galaxies originally discovered by the South Pole Telescope (SPT). In observing these galaxies, I study what the universe looked like one billion years after the Big Bang. I use the Atacama Large Millimeter/submillimeter Array (ALMA) to study resolved, rest-frame far-infrared fine-structure lines. Dusty star-forming galaxies are some of the most extreme objects in our universe, forming thousands of solar masses in stars each year. My goal is to study the structure of these galaxies, determining where the gas is in the galaxies and how it is moving. By studying the structure, I hope to determine what is driving the intense star formation in the dusty star-forming galaxies. I also have a strong interest in science education and public engagement. 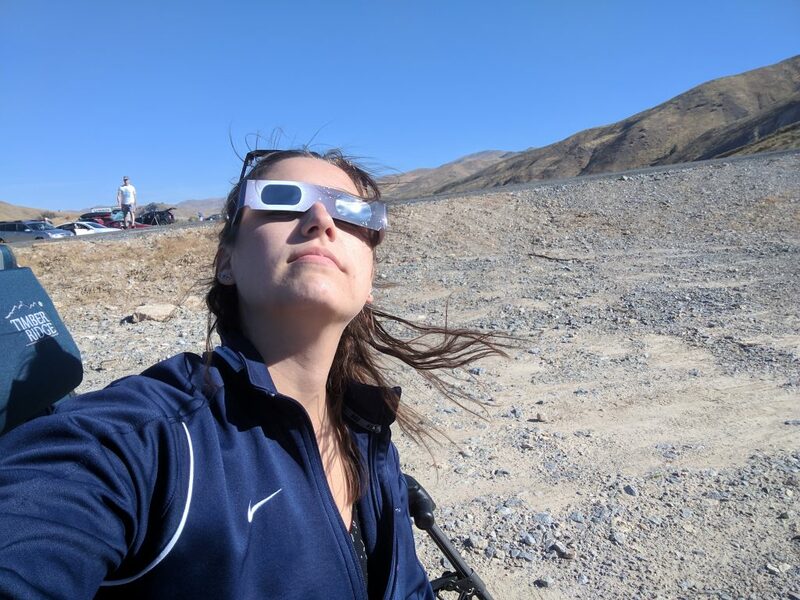 I work with groups like the Mt Lemmon Sky School and Project ASTRO to work with teachers and students on hands-on astronomy learning. For more information, please see the Education/Outreach section. 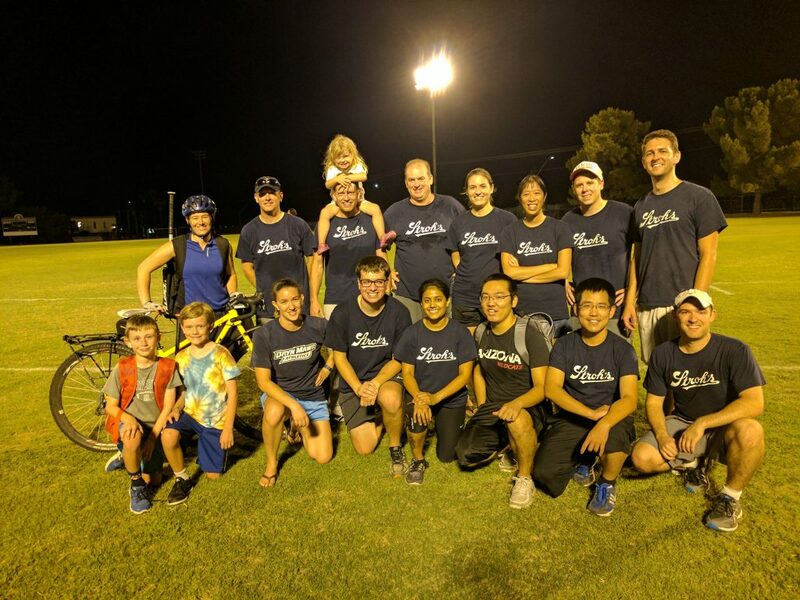 In the summers, I am part of Steward Observatory Hit Squad (StrOHS), the Astronomy Department’s softball team (pictured above). During the school year, I often play intramural volleyball and battleship with my fellow graduate students. I also play flute in a community concert band. 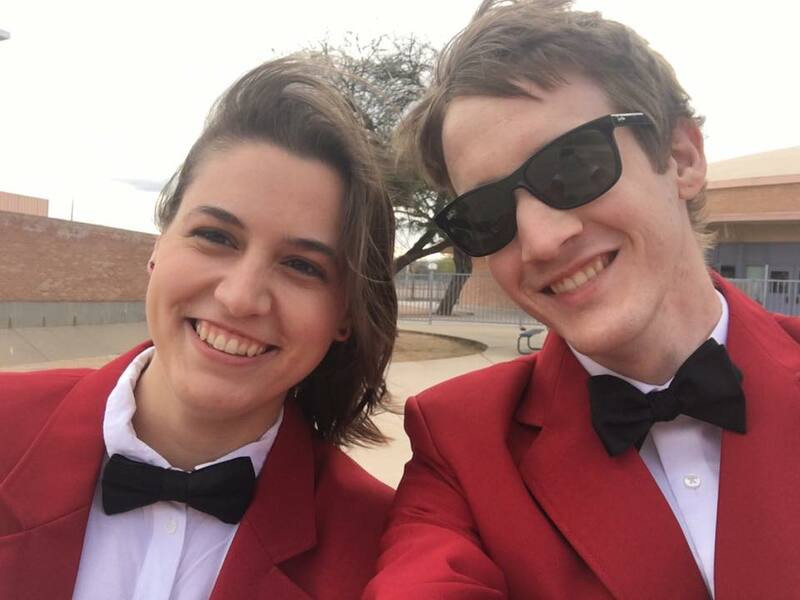 ﻿Chris Marslender and me before a Tucson Concert Band performance.